Connect with your guardian angels, spirit guides and loved ones on the other side. What is Angel Card Reading? Every reading is done with care, love and respect towards the Angels and the person for whom I am doing the reading. The readings are never negative and are consistently amazingly accurate,and they give us message that we need to know at this point of time in our life time. Helps you find the answers you are looking for through positive and helpful messages. Helps you become more aware of your own spirituality. With an open mind and heart, they can guide you in every aspect of your life. To get help by asking your angels & spirit guides advice about a specific situation or person. Each card will have a Message from the Angels. The cards start the conversation and every reading is so different, Amazing and fantastic.During times of stress or uncertainty these readings can benefit those who wish to connect with the angelic realms for guidance and positive messages. Feeling stuck despite having tried all ways to create abundance in your life? Discover your past, and future events find out what is your Soul Purpose, tools and solutions to the improve quality of Life. Don’t know who you really are at Soul level? Or asking yourself what is your life purpose? If the answer is yes to any of the above scenarios then. To begin with, it may well be that you have been looking at all the wrong places. The answers lie at your Soul level. What can be revealed is the essence and expression, potentials, and purposes of the Soul.  What is most important for me to know at this time in my life?  What do I need to know to live in alignment with my soul purpose?  What do I need to know to remember who I truly am and what I came here to do?  What do I need to know to be fully present for this event/meeting/relationship/investment? Get your Angel Card Reading Reading over skype, phone, in person. info@experiencehealing.ie. Booking essential. 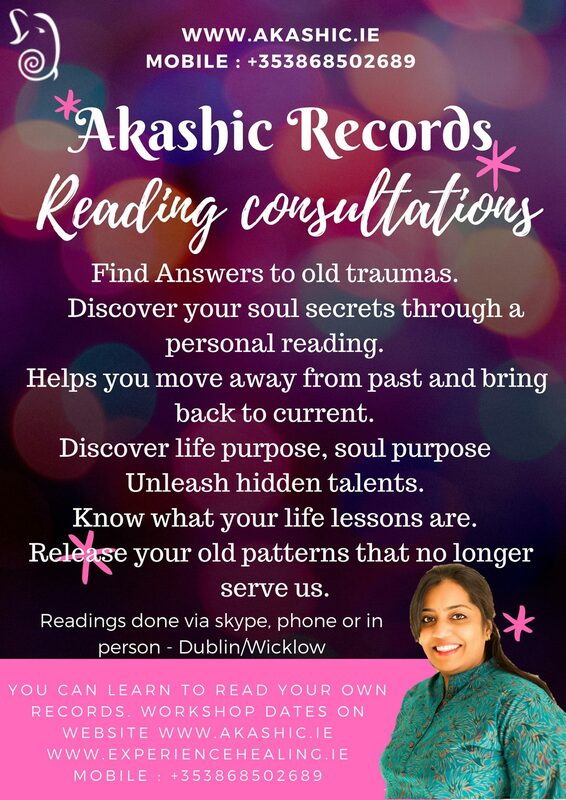 Transformational life guidance is always available for you through the Akashic Records. Important challenges in your life can be addressed and resolved by scheduling a 45-minute/ 1 hour consultation (reading). Price is based on PreBooking. 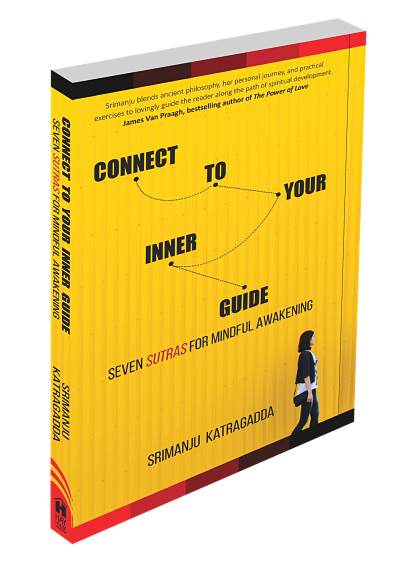 Connect to Your Inner Guide book outlines a step-by-step approach in establishing communication with your inner guide, seeking its advice, and following its guidance.